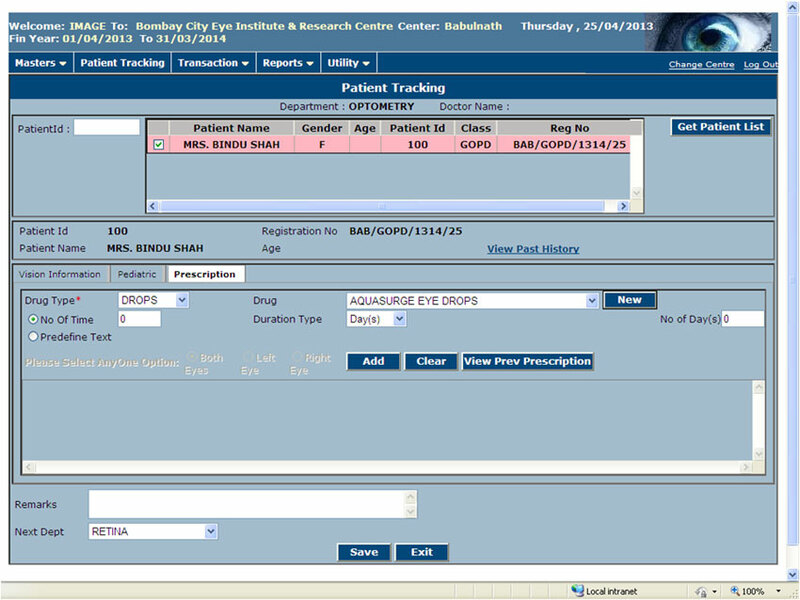 Web based online Eye Clinic and Inventory System that is in line with the Global Corporate structure. 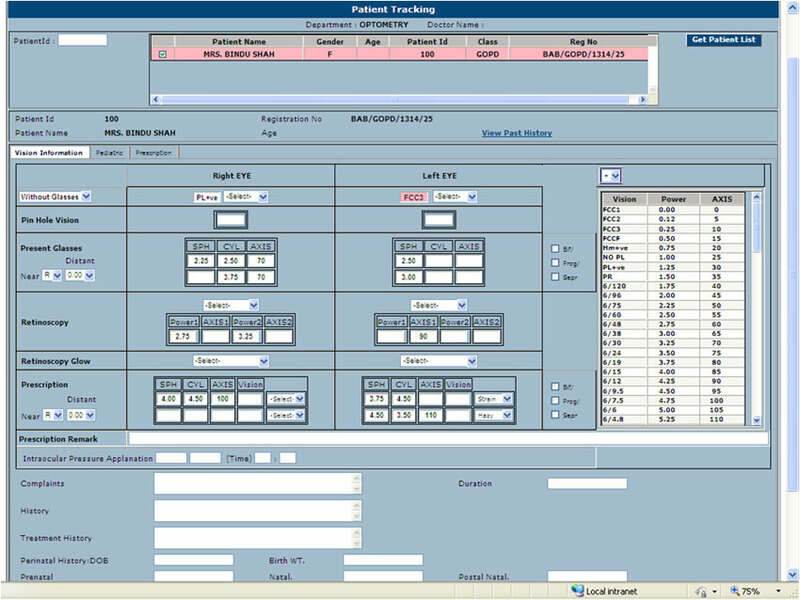 This solution can work as a close intranet as well as internet based solution. Based on backbone of Strong Security framework, all the users can access it anywhere, anytime based on the access rights given to them. 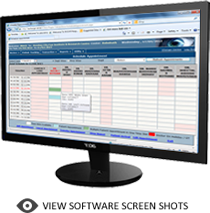 This software has been meticulously designed in consultation with ophthalmologists to take care of every possible aspect in clinic management. 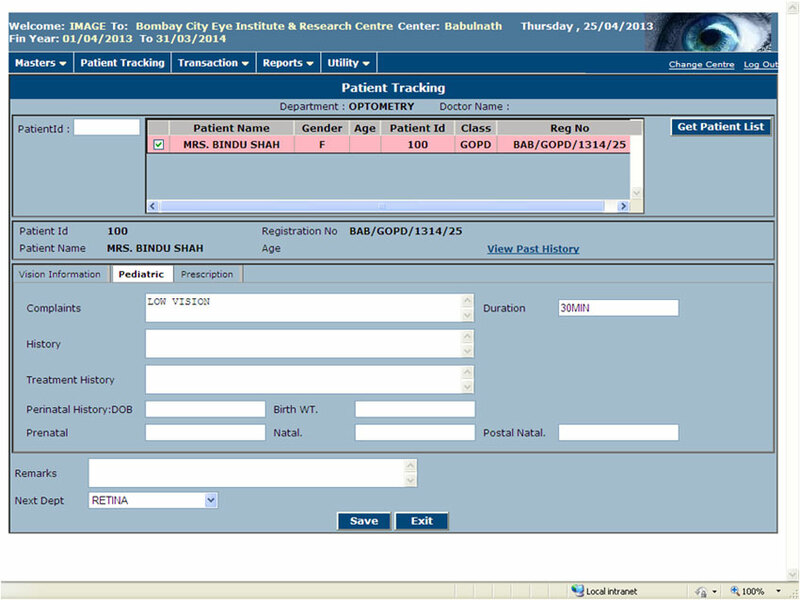 It covers the entire gamut of activities related to patients, doctors, optometrists, referring doctors, billing, inventory-management and receivable. 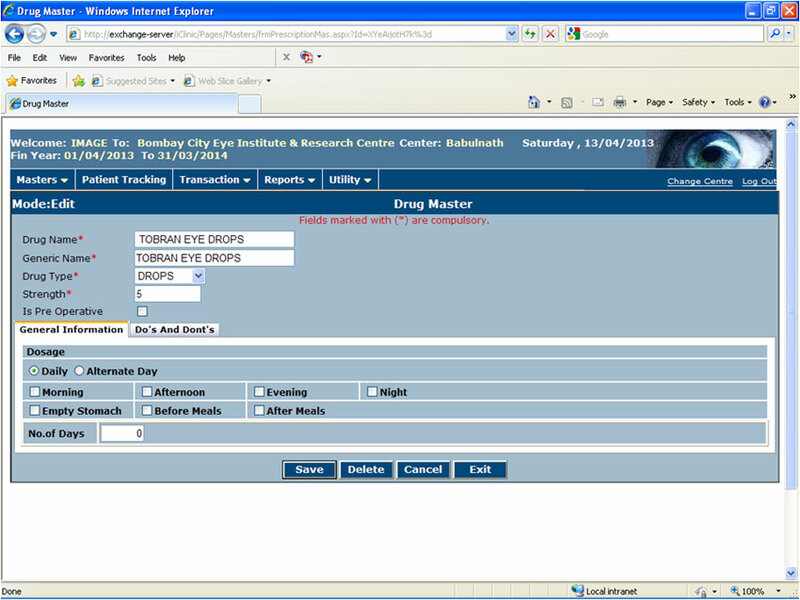 In short - Eye Clinic software is a one stop solution to complete management of an ophthalmology centre. 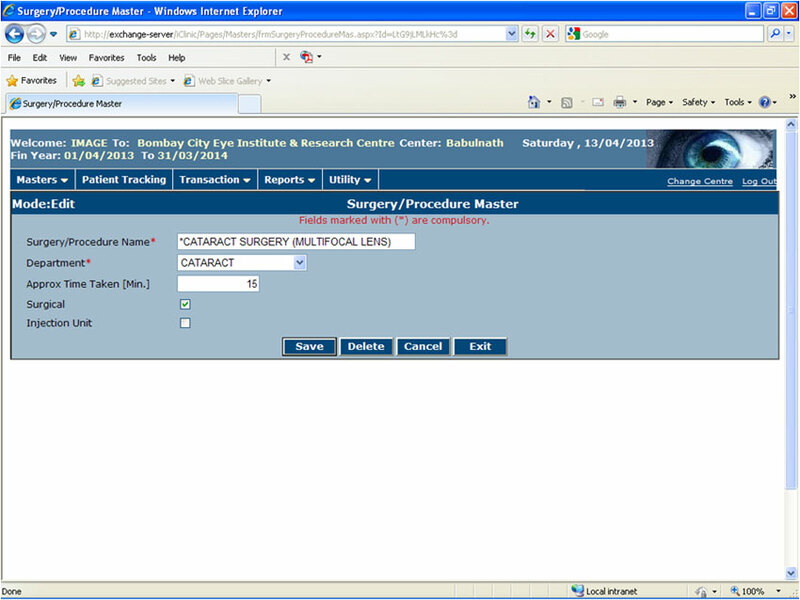 Besides maintaining your computerized medical records, software helps in keeping your entire patient accounts along with payment status for each patient. 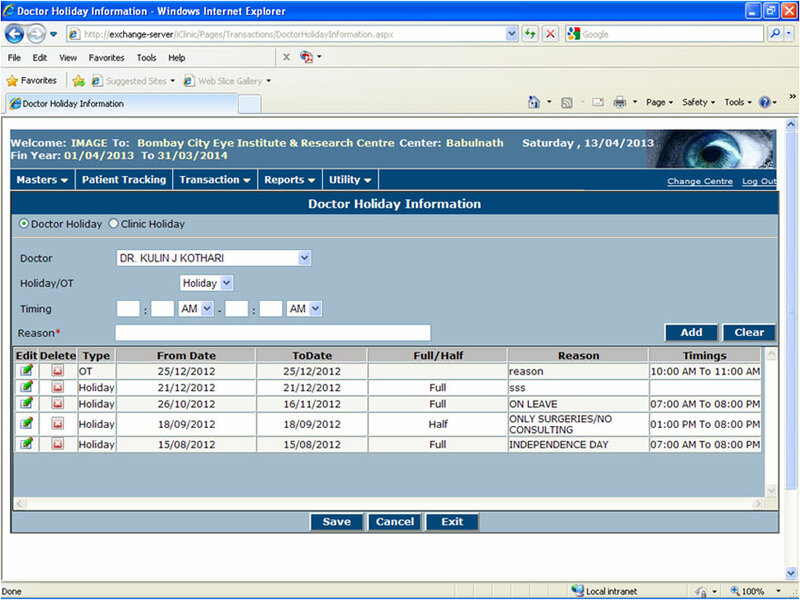 Appointment Scheduler can keep track of your appointments for consultation, follow-ups and surgery date, etc. 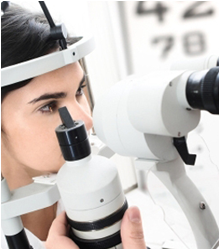 Eye clinic software understands the requirement and difficulties of ophthalmologists. 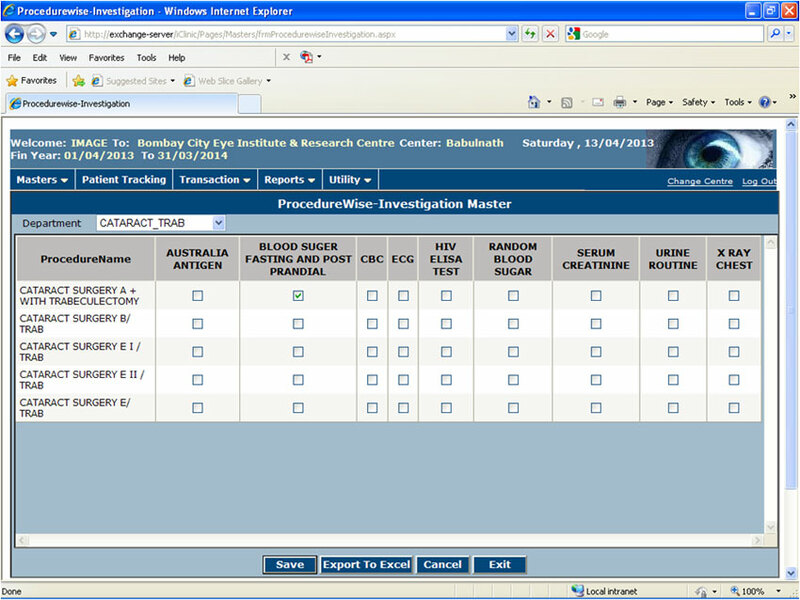 Hence the software has been so designed as to quickly document history, examination, medications, and surgery notes, etc. 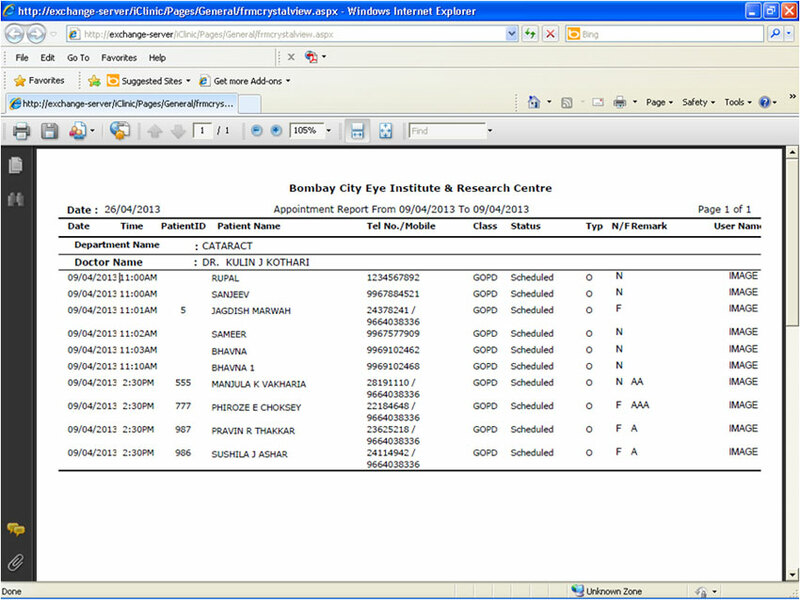 suiting eye clinic environment. 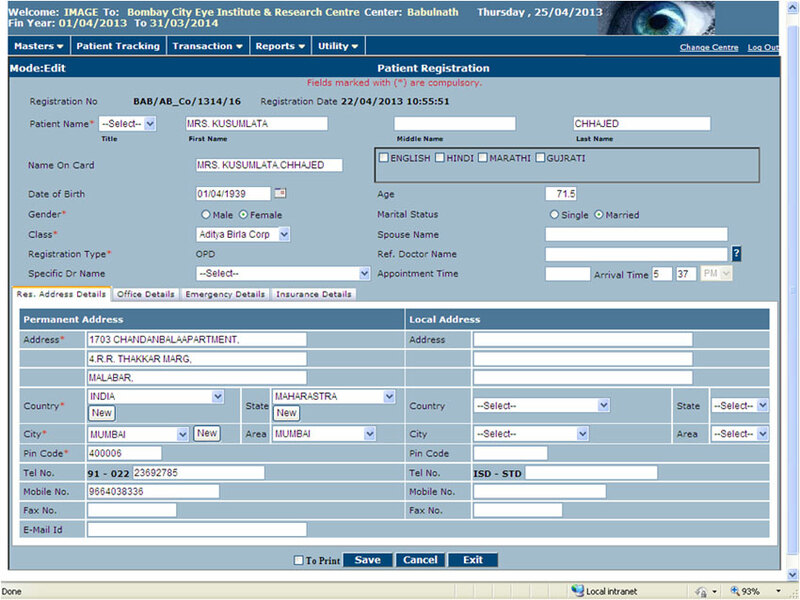 Elaborated Patient registration linked with appointment module. 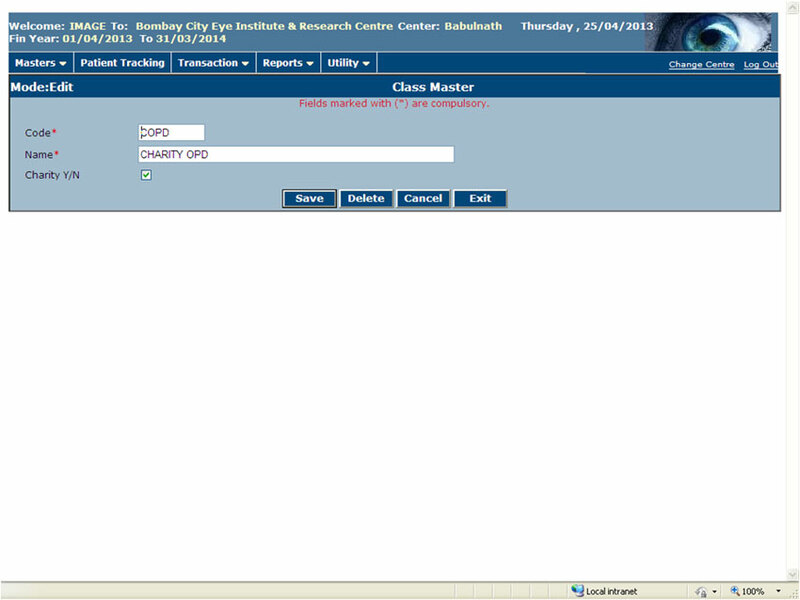 Patient class will determine the changes. 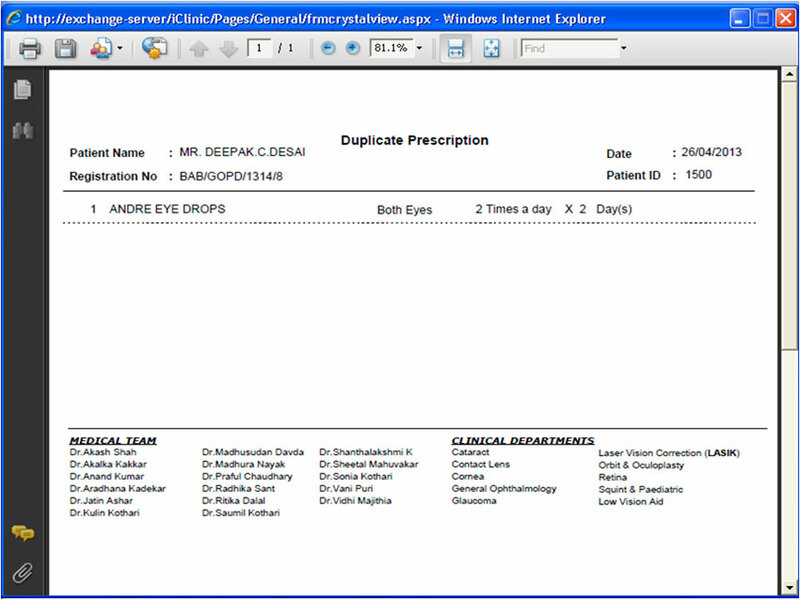 Patient prescription printing and it will be attached with the patient’s profile. 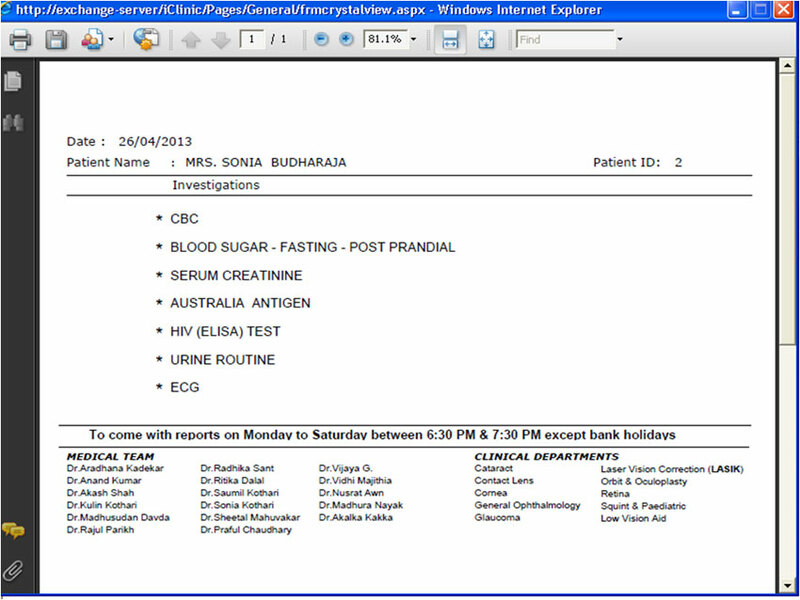 Patient appointment will be maintained and on appointment, cancellation or reschedule, sms/e-mail will be sent to patient. 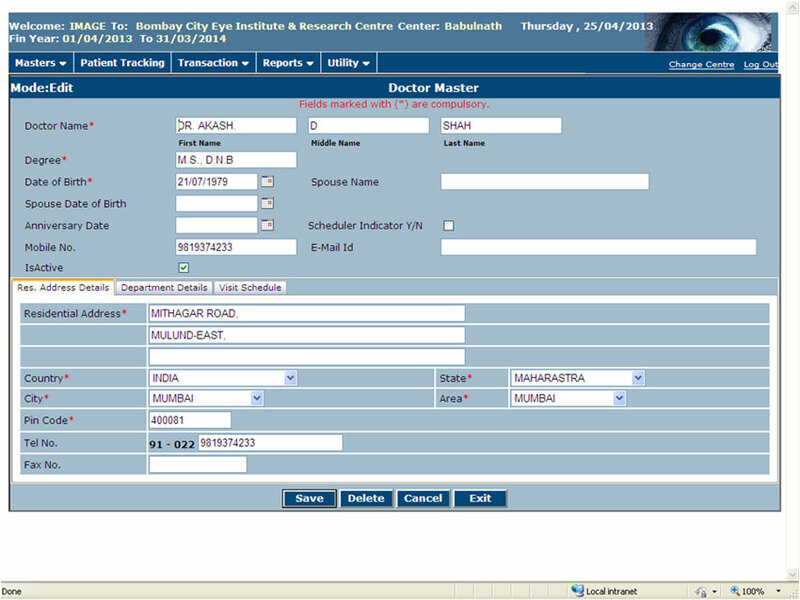 While giving appointment to patients, doctors availability will be tracked i.e. 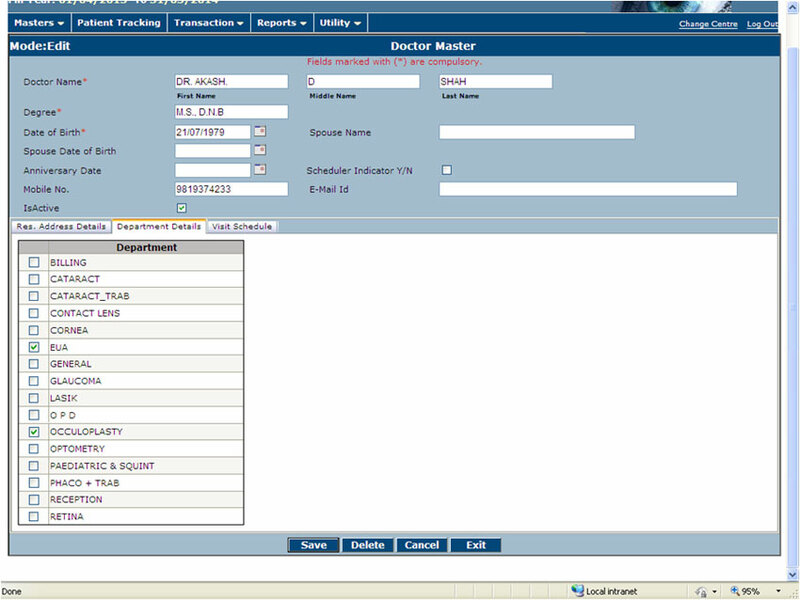 doctors is on leave or available. Patient discount will be managed with proper reason. A reason wise discount will be generated. 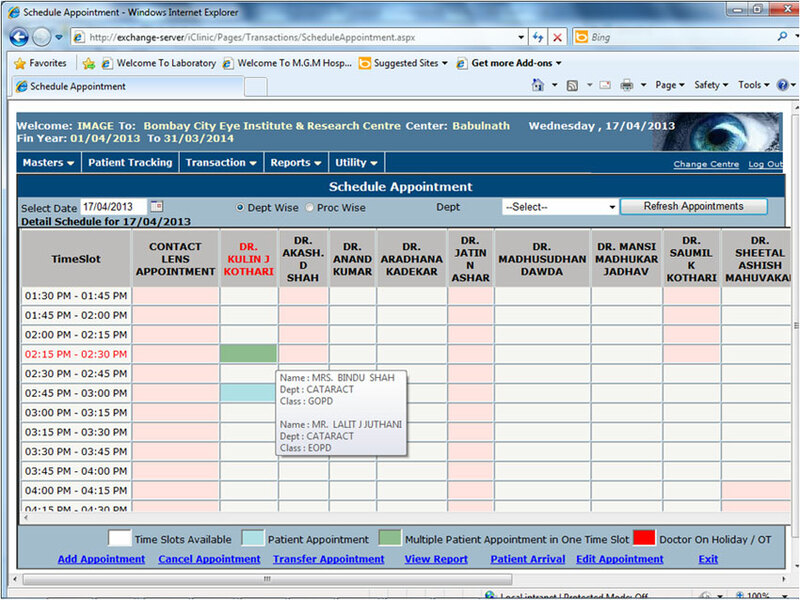 On appointment rescheduling, confirmation can be sent thru sms. 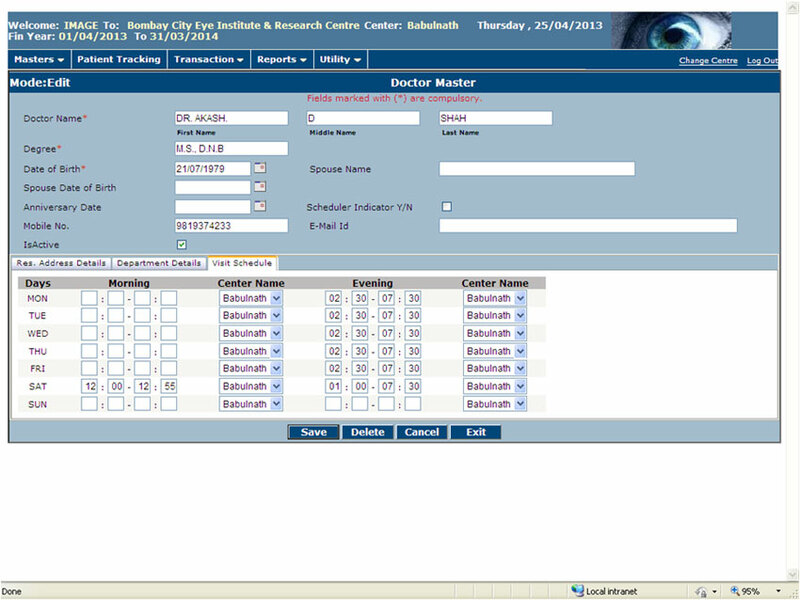 Online real time patients’ movements from doctor to another doctor will be maintained. 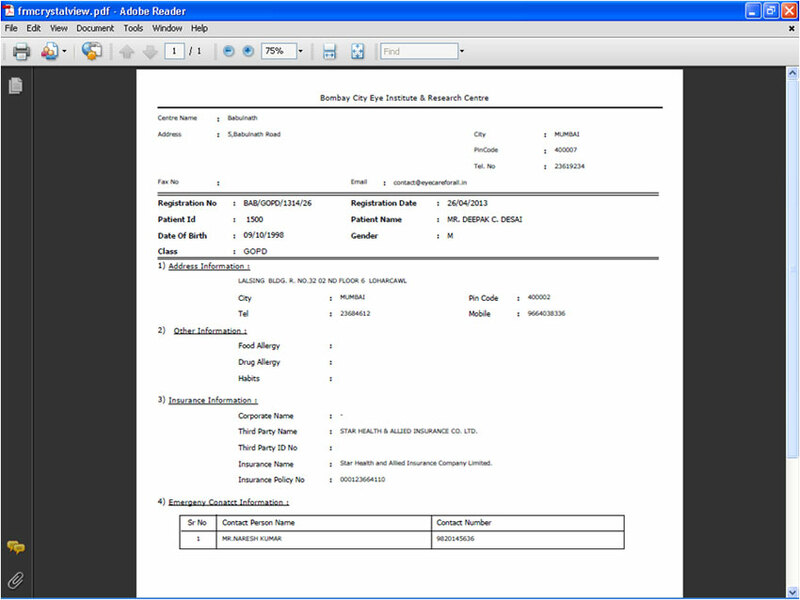 A complete full proof drawer prove up System will be provided. 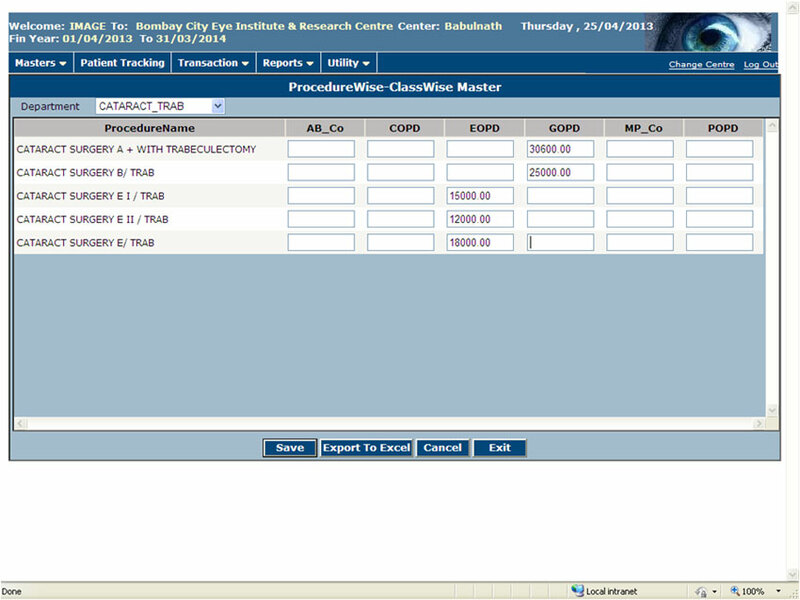 Which will store the amount the amount collected by each user (after registration or payment clearing module) along with date, amount, mode of payment. Periodically the user will have to give the money to the accountant and that time a detailed report of how much payment received by cash, cheque, credit/ debit cards slips with the user will be printed and tallied by the accounts department. 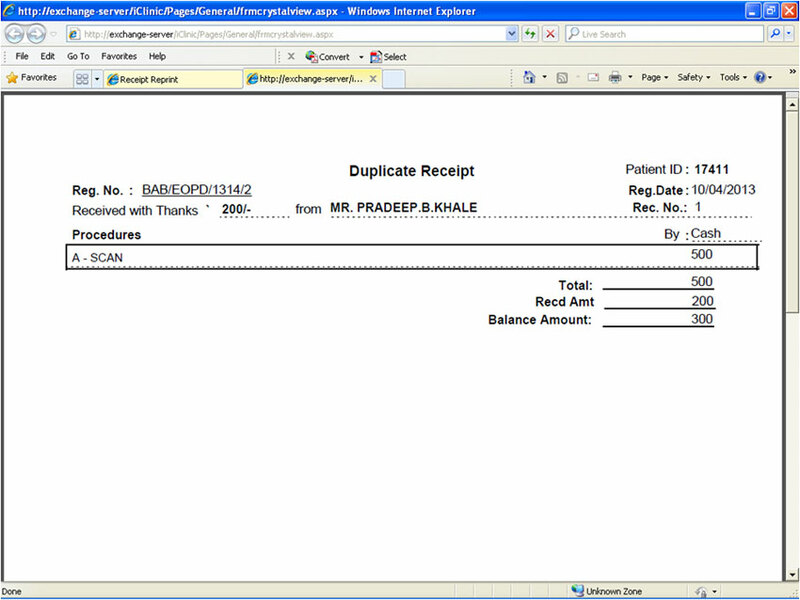 Accountant will verify the statement with collected cash, cheque and credit/debit card slip handed over by user. 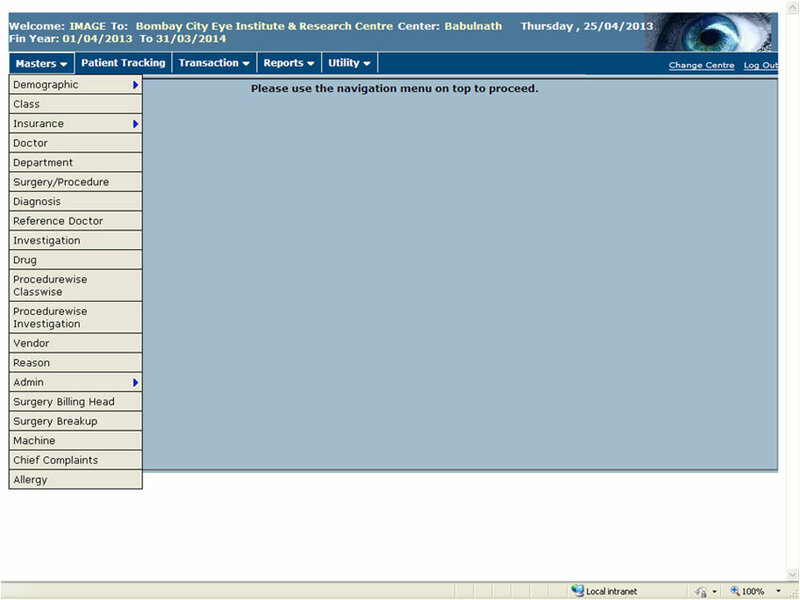 User than will clear the drawer and start with New registration. 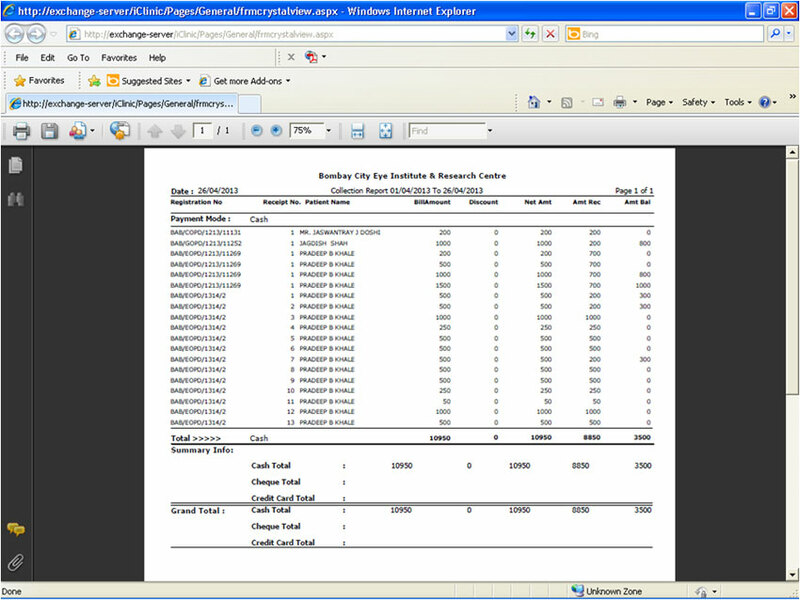 Daily payment received can be linked to financial accounting. Patient discount will be managed with proper reason. 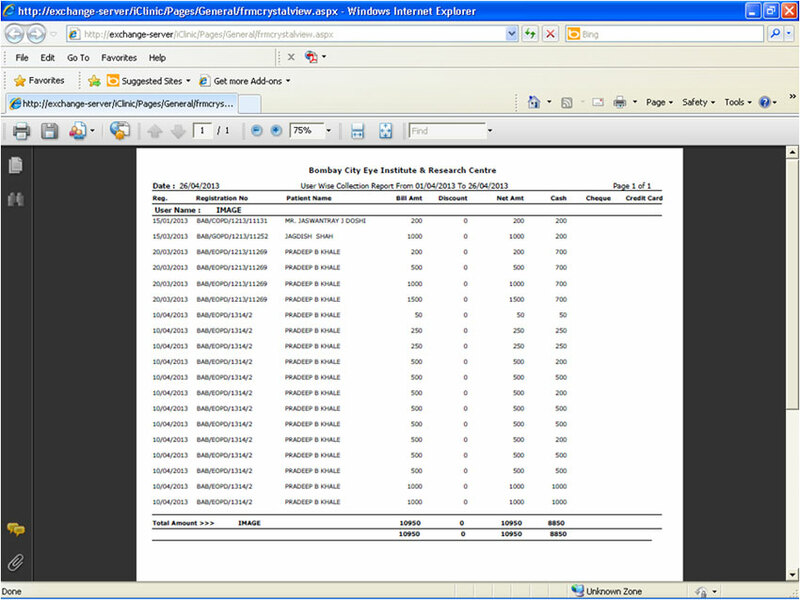 A reason wise discount statement will be generated.